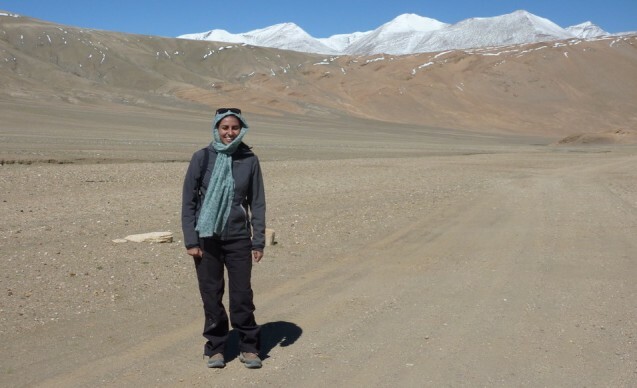 Radhika Timbadia reveals how a second Conservation Leadership Programme (CLP) award is helping to support her team’s innovative wildlife protection work in the Himalayas. It was three years ago, after a long, tiring journey up the road from Leh to Kaza, that I first visited Spiti, in the northern Indian state of Himachal Pradesh. Having heard countless stories about its pristine beauty, I was excited to explore its fauna and high mountains. We were mesmerised at 4,590m by Kunzum-La, the pass that connects Kullu and Lahaul valleys with Spiti valley. After travelling for more than 24 hours, I received a phone call with the news of my niece’s birth, which made this trip unforgettable for me. Ever since my first visit I have fallen in love with the people who are always sunny, positive and cheerful despite the remoteness and biting cold. 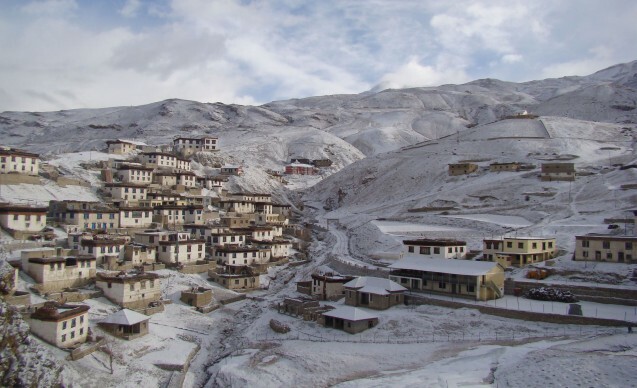 Nature Conservation Foundation, with support from the Snow Leopard Trust, has been working exceptionally hard to conserve and protect snow leopards and their prey species on the Indian side of the Trans-Himalayan landscape for more than 15 years. A CLP Future Conservationist Award in 2011 helped our team identify some of the main reasons for negative attitudes towards snow leopards and wolves in the region. Our CLP Conservation Follow-Up Award in 2015 is now allowing our team to test multi-pronged approaches that aim to reduce the impact of conflict with snow leopards, and improve attitudes of local pastoralists. 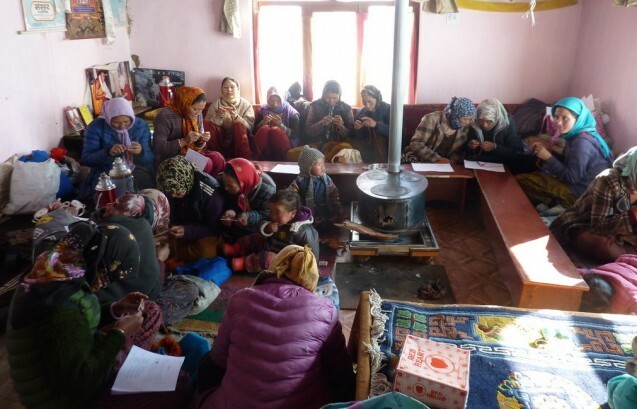 Snow Leopard Enterprises, working under the local name of Shen, is one such conservation programme that has generated interest among the local women, a key focus group that typically gets left out of conservation dialogues. Shen, meaning snow leopard in the local Spitian dialect, is an enterprise to increase income and safeguard wildlife in the region. The enterprise involves 50 women from two villages, Kibber and Chichim, in the Spiti valley. The kind and talented Dr Mala Srikanth, an experienced knitter, braved the frigid November temperature (-4 to -14 degrees Celsius) to provide them with handicraft training. Conducted over a two-week period, the training focused on crochet and knitting skills enabling the women to make well finished contemporary products like hand-crocheted red fox bookmarks, sheep hot pot holders, jute baskets and knitted cowls, socks and many other items. This was followed by a further seven days of training, held in Bangalore in early January, which focused on block printing and embroidery. Thanks to support from CLP these training sessions were provided at no cost to the women. The trainers have now gone back to their respective villages to teach other women. The products have been sold in exhibitions in the cities of Bangalore and Delhi in the last year. They sell for up to Rs. 800 (approximately US$12). In the coming year we hope to sell online and in shops, in addition to targeted exhibitions. We expect the women to make at least US$2,000 in total from conservation-friendly sales in 2016, and we expect to start working with one more village that has shown interest in the past. 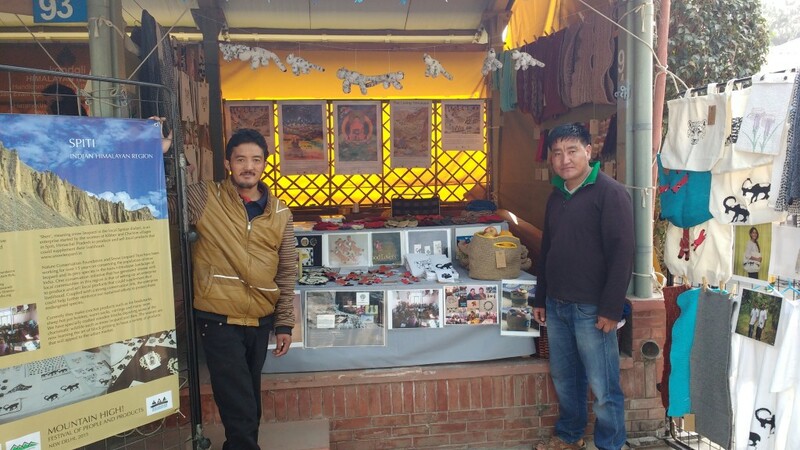 The sale proceeds from these products will help diversify their income and provide an incentive for them to participate in the conservation of species like the snow leopard, wolf, fox, bharal and ibex. To strengthen the conservation linkage we have had several conversations with the women culminating in an agreement to have a strict no poaching rule in both villages. Hunting is already illegal, but it happens occasionally, usually because people coming from outside these villages are unaware of the law. The women now take the responsibility to make them aware, and to report any incidences of poaching to the relevant authorities. The women are paid for the products they make irrespective of poaching activity, but they receive a 20% conservation bonus at the end of the year if there has been no poaching or if the right preventative steps have been taken. It is similar to the system used successfully in Mongolia for the past 10 years. The warm, loving, funny and vibrant women are making this enterprise come together. We participated in our first big exhibition, Dastkar, over Christmas in New Delhi. It was an enlightening experience and we were touched by the support given to us. Together we have learned and achieved many things, but we still have a long way to go. Our aim is simple: to protect and ensure a bright future for the wildlife and local communities of the Trans-Himalayan landscape.